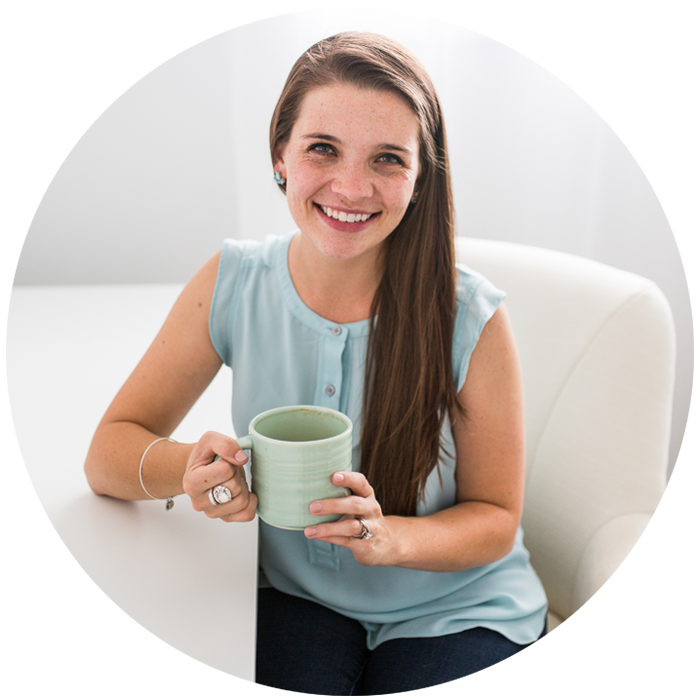 One of the coolest parts about working with my clients is that I am able to share my blogging knowledge with them. Aside from my web design business, I have also been blogging for almost five years now. My blog started as a way to document newlywed adventures and then recently I rebranded to A Joyfully Mad Kitchen, a food blog where I share easy recipes through the lens of hospitality. Because I’ve spent years learning the trade of blogging, I’m able to share a lot of tips to my clients, who are often times brand new bloggers! Recently I worked with a client who was brand new to the blogging and internet world. It was so fun to be able to build her brand from the group up from a handful of amazing ideas that she had for where she wanted her business to go. At one point we were discussing blogging and she asked if every blog post needed to have an image. The short answer is no, every post doesn’t need an image, but there are numerous benefits to having an image in every post. I’ll walk you through a handful of those benefits! Long form blog posts have really become the industry standard over the last few years. For some niches, like food blogs, getting to 400-500 words can be tricky. But other niches, like how-to, business, entrepreneurship, etc., reaching a word count of 800-1200 is pretty easy to do because blog posts are packed with take aways and tips. This is great for blogs that want to build their SEO rank, but as a reader, reading through a solid 1200 words is difficult. Images break up that lengthy word count and help with the flow of the post itself. It may seem counter intuitive that having image breaks can actually make it easier to get through a long form post, but that break in visuals helps your eyes to remain focused on the words and get through the content quickly and efficiently. These images don’t have to be images that are designed each time. This is why I love having a library of customized brand images that I can use in blog posts to break up the word count. 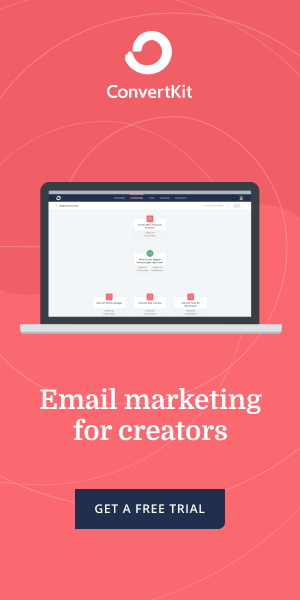 Of course if it’s appropriate, graphics that are designed specifically for the blog post are always helpful too! If your site is on WordPress or Squarespace, images are really important for taking full advantage of your theme. Because WordPress is my jam, I’m going to specifically talk about the built in functionality that most WordPress themes have for using images. 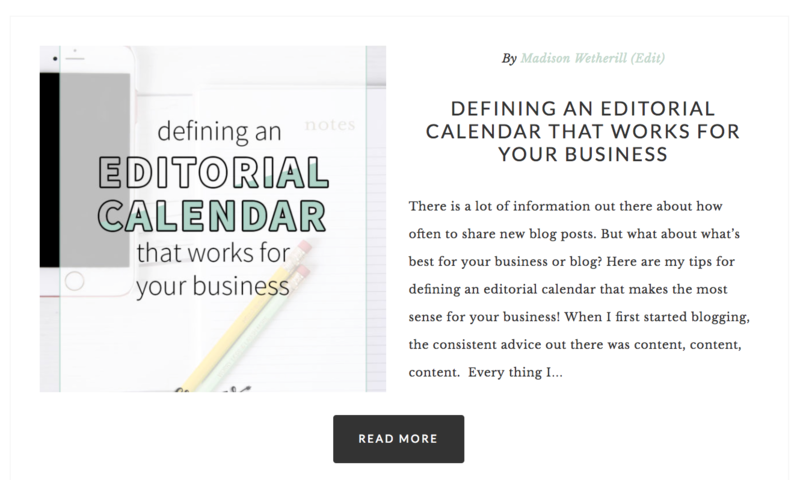 The first thing to note is the “featured image” space within your blog post editor. 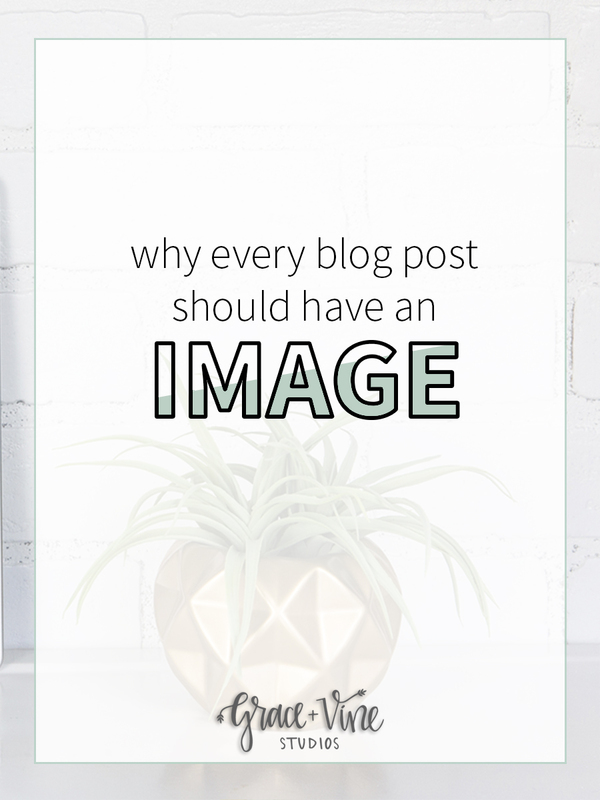 If you’re accustomed to adding images, you may have even done this, but if you’re just getting started with blogging, you may not have realized that there is a spot to pick a photo for each blog post you write. When you’re in your post editor, there’s a sidebar on the right with all kinds of tools. At the very bottom is one called “Featured Image”. This is the spot that tells your theme which image is the main image for your blog post. 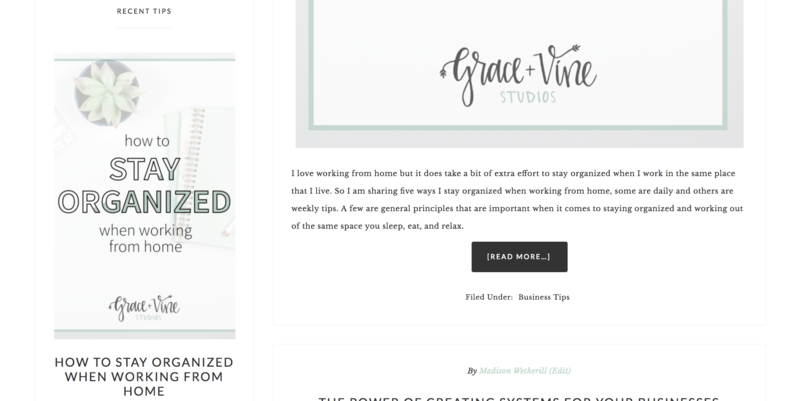 If you look at both images above, the image that is being showcased as the main image for the blog post is the image that I chose for my featured image on the blog post editor. If I had skipped choosing a photo, that space that is built into my website would just be blank. Choosing a photo utilizes the full capabilities of my WordPress theme! Every social media platform these days is completely image based. It used to be that Instagram was the main platform for images but now Twitter, Facebook, Pinterest and Instagram are all major social media platforms that rely heavily on images. We are so used to scrolling through our feeds quickly and most of the time we are scrolling through images until one catches our eye. Only then do we pause to see what the content is. Having images in your blog posts allows for those social media shares to have images in them as well, which will help your information stand out in social feeds. When images are used the right way, they can actually drive traffic to your site. If you’ve ever searched for an image on Google, maybe for a recipe or craft idea, you may have ended up on someone’s site from that Google Image search. Correctly utilizing images for SEO is a whole other topic, but the basics are that every image you upload to your blog should be renamed with your SEO keyword (ex. wordpress-featured-image-blog-post.png) and it should also have an alt text set for that image. An alt text is simply text that is used in the event that someone cannot see your image, whether due to visual impairment or an image not loading correctly. This is the exact thing that Google would pull from when someone searches for an image on an image search as well. SEO is controlled by a lot of things, but one of them is about how user-friendly your website is. Having images throughout that post will also help for Google to see your site as user-friendly which gives a boost to your website’s rankings. This is such a great post. I’ve always seen images from an SEO-side and always tell my clients to use them, but I’d love to refer them to this article for them to learn more!